A CRM is Customer Relationship Management software that handles information and processes with existing or potential clients. There are many CRM’s on the market for which you pay a monthly subscription. Custom software is a piece of software created specifically for your business needs. It can come in many forms from a CRM to an Operational Support System (OSS). It is a solution specifically developed for an organisation. 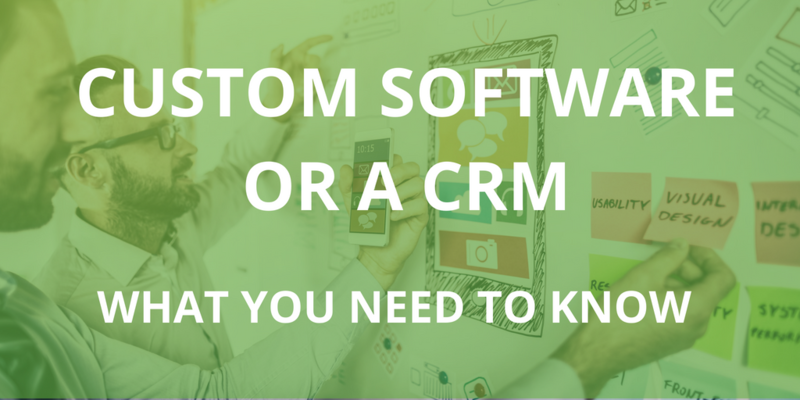 Why use custom software or a CRM? Operational Support Systems often start as a CRM but grow to manage processes that occur after the sale is made. Examples include: delivering a service, scheduling, customer portal, request tracking, purchasing, billing, distribution and more. The key role of an OSS or CRM is to ensure that nothing drops through the cracks and no job or customer gets overlooked. Almost no business can grow successfully without the software to preserve and enforce its business processes. Custom software is created to exactly fit your businesses needs and processes. It has all the features that you need without the confusion and distraction of extra features that are not relevant to you. Even better, custom software talks the language of your business. Matching you business in process, work flow and terminology helps to minimise the staff training required. Custom software creates a smooth solution. Very often business operate with a combination of spreadsheets, post it notes, contact directory and and accounting system. Custom software either brings all processes into a single application or seamlessly integrates with an external application for some functionality. A custom piece of software will be created with your whole business processes in mind. If the software needs to work with other software or applications, it can be created specifically to integrate with those systems. Because Custom software is structured around your business, adding extra features to the software can be very easy. This means that your software can be made increasingly sophisticated as your business grows, allowing more and more automation. With off-the-shelf software there is always a real business risk that your business will outgrow the capability of your chosen software. The result is a return to supplementary spreadsheets or the pain of changing software. Conversely, investing Custom Software allows you to simply extend your own software to keep up with whatever direction your business takes. The way your business works is unique and special. As custom software is a one of a kind asset, your competitor will not have the same one as you. Anything that you have that your competitor doesn’t is an advantage. So many businesses rely on the attention to detail of the owner and the “seat of the pants” instinct of the owner. Business like this are of minimal value to sell because the owner doesn’t come with the business. Businesses that preserve their processes and procedures in software are much more saleable because a new owner that continues the processes and procedures captured in the software can expect ongoing success. Custom software has a relatively high initial cost, unlike off-the-shelf options, which usually have a lower monthly payment for as long as you want to use the system. As custom software is made specifically for your businesses needs, it requires time to be developed. An off-the-shelf option can be used as soon as you sign up and learn how to use it. What to look for in Custom Software? UI/ UX stands for User Interface and User Experience. You want a clean design that makes it easy for your staff to navigate and use. When looking for a developer, you should look for someone with experience in creating software as well as user design. Don’t try to design the software – leave that to the experts. What you need to do is identify all of the problems you would like to solve and processes and workflows you would like preserved. A good software developer will design a solution that ticks all the boxes. 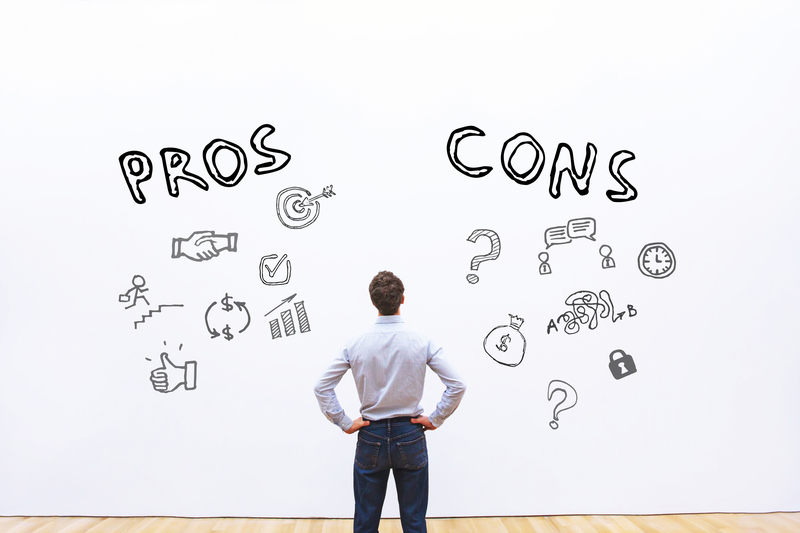 As custom software is a higher upfront cost, it can be hard to choose who to get it developed by. When looking at possible budgets, it’s important to think about value over price. Consider the labour saving that good software can achieve by making things more efficient. You don’t have to have the complete or perfect system on day one. Almost any custom software will be much better than what you are doing now. Work with the developer to identify the features that will give the biggest immediate win for your business and call them stage 1. The remainder can be developed in later stages, spreading out the cost. We have been the experts in custom software and CRM’s in Australia for 22 years. Even after deploying software we stay by your side with maintenance, support and application hosting.